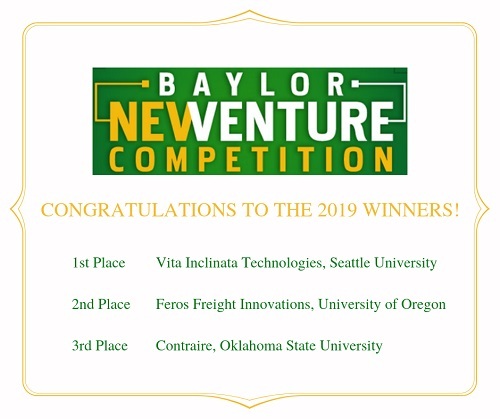 The John F. Baugh Center for Entrepreneurship and Free Enterprise is thrilled to host its eighth annual Baylor New Venture Competition on February 22-23, 2019 at Baylor University’s Foster Campus for Business and Innovation. This two-day business plan and elevator pitch competition showcases collegiate entrepreneurs from across the globe. A bonus day is offered for teams to receive additional feedback. This journey of personal and professional development includes industry-specific mentorship and coaching towards sustainable business plans. In addition, student entrepreneurs gain exclusive access to accomplished experts and fellow innovators. 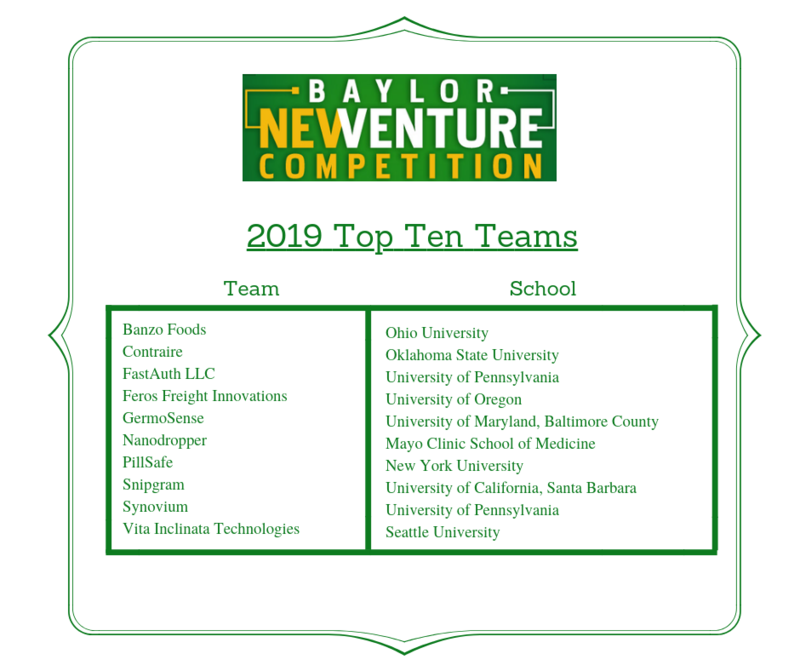 Teams have the chance to win more than $250,000 in cash prizes and vital resources to catalyze and grow their business. Buckle up! The final destination for this adventure is a successfully profitable business that impacts the world. The program, underwritten by an anonymous gift to Baylor University and the Hankamer School of Business, provides students with an immersive and transformative adventure. Since 2012, over 500 student entrepreneurs have applied and nearly $1 million in cash and prizes has been awarded. We are successful because hundreds of experienced entrepreneurs, business leaders and sponsors have supported this transformative encounter.